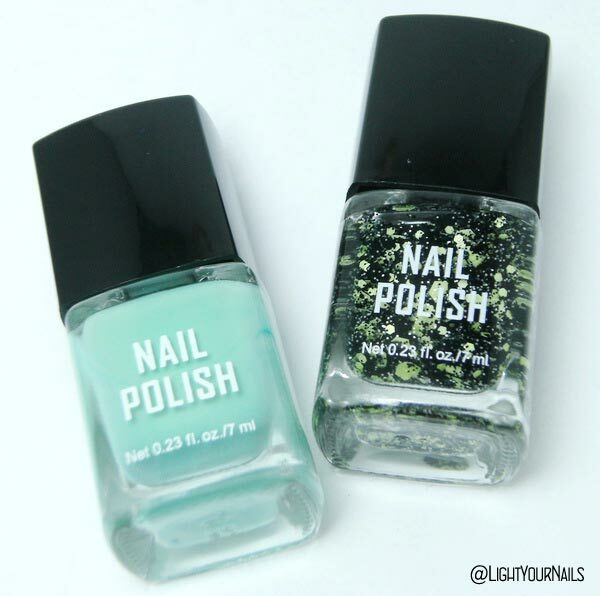 H&M Green + H&M Black/Green Glitter | Light Your Nails! Hi everyone and happy Easter Monday! For this holiday (I should call it laundry day) I went for a new easy manicure. I shopped my stash for a super old nail polish set by H&M. 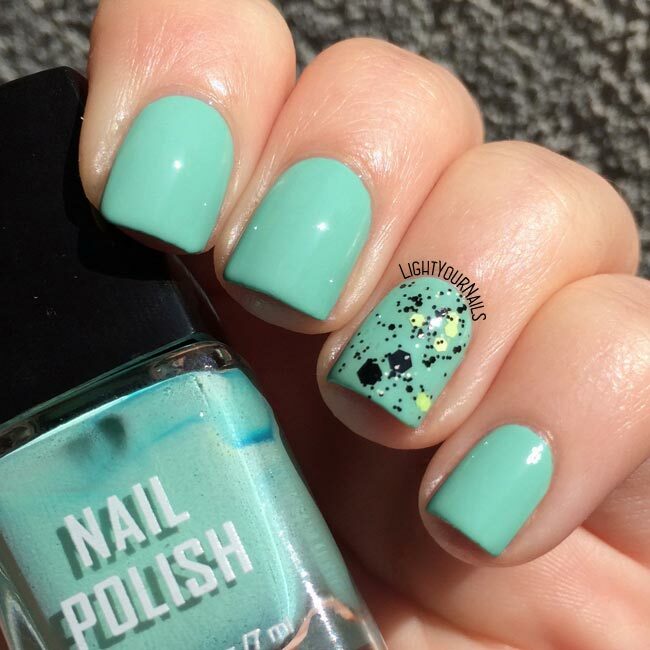 This set is made of two cremes, a mint and a coral, and two matching glitters made of black glitters + a color matching the creme twin. My choice today was the green duo. The creme goes on like butter which is some kind of Easter miracle given the usually tricky shade. I like the glitter, too, but I am not sure it totally matches the creme. It’s made of black and pistachio green glitters in different sizes and I don’t think pistachio and mint go so well together. Anyway, I think it’s still a nice combo for today. I painted all of my nails with the green creme (simply called “Green” on the box btw) and added the glitter only on my ring and thumb. A good top coat and done! That was it! I told you it was a quick easy mani! 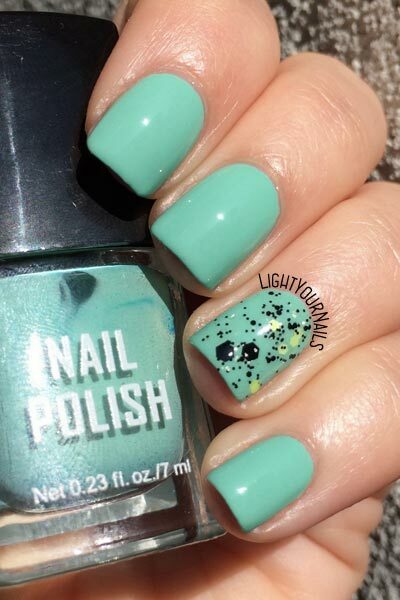 I were today a thermal nail polish on my nails...like 2 in 1 :)) As about your nails, they look amazing with this green! They may be old, but they are trendy! Thank you Andrea! It was quite warm here, I think it's already late for thermal to work!